Submitted by Jason Horton on Apr. 2, 2019..
85 out of 100. Incorporating 225+ ratings and reviews. It is used for both music recording and podcasting. Thanks to the additional XLR connectivity it can also be used as a regular dynamic instrument or live vocal mic. It comes with a mic stand clamp, a tripod desk stand, and both USB and XLR cables. It also has a headphone jack for zero latency monitoring with a headphone volume control dial on the bottom of the mic. Additionally it sports and on/off switch which works in both USB and XLR modes. As a USB mic it is compatible with both Mac OSX and Windows XP or later. It works with both USB 1.0 and USB 2.0 systems. Some users report that they were able to get it to work on the iPad 3 via the Apple Camera Connection Kit, but Audio-Technica does not claim this is iOS compatible. As an XLR mic it is compatible with regular mixing consoles, audio interfaces and PA systems generally. Many customer reviews state something similar to "great value mic for the money". There were even a few people who said they had switched to using this instead of the Blue Yeti. It got positive reviews from musicians, podcasters, and even radio DJs. A number of users report that the volume, when used in USB mode, was too low on their systems - this appeared to be a problem on Windows 7 but other operating systems and configurations may occasionally have this problem as well. This is a versatile mic and at such a low price you're not likely to be disappointed adding one of these to your mic collection. 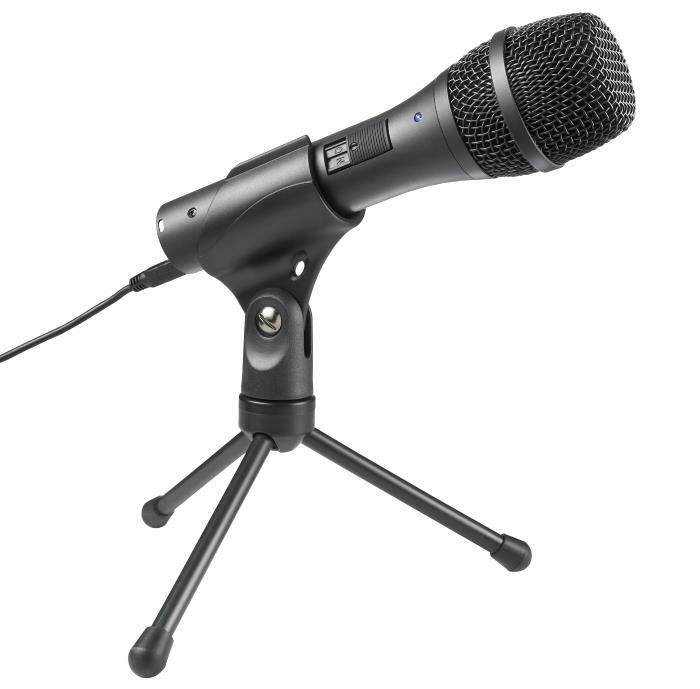 The Audio-Technica AT2005USB was on our recommended list until we performed a major review of USB Mics for April 2019 when we found there were more highly rated options to recommend in our guide to The Best USB Mics for Recording.